I’m a big fan of fruit scents and Bud Factory supplies everything desired. Though cherry is not a first choice for me, I have to say that these cherries are good and ripe to perfection. Scent engulfed my living space as if I had splashed an entire lifetime supply of Orange Crush all about the house. Love the color of these herbs. Let’s you know that you have something exciting waiting for your next move. I found myself sitting surfside in the Bahamas. Truly an exotic blend. 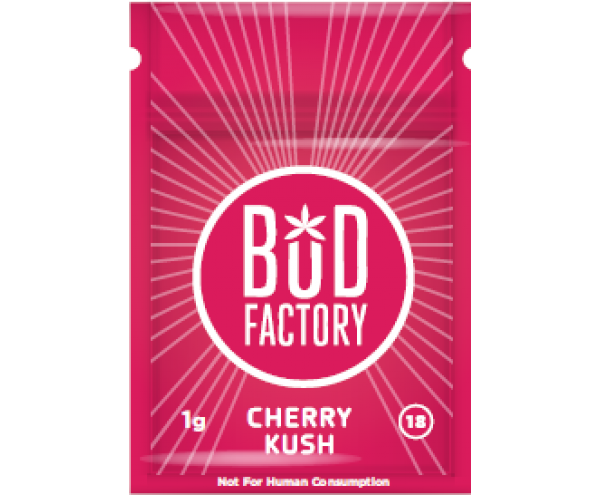 I recommend for anyone in desperate need of a vacation to take a journey on the Bud Factory.